The practice of yoga has been recorded to be over 5,000 years old. Bikram yoga, was created by Bikram Choudhury and his Guru, Bishnu Ghosh. Together they pulled 26 fundamental postures out of hundreds of yoga postures in a set sequence, designed to be practiced in a heated room, so that anyone would be able to do it. Bikram yoga is more than about creating a great physique: it is therapy for the mind, body, spirit and emotions. The selected postures done in sequence, timing and repetition in a heated room, heals the practitioner from the inside out. 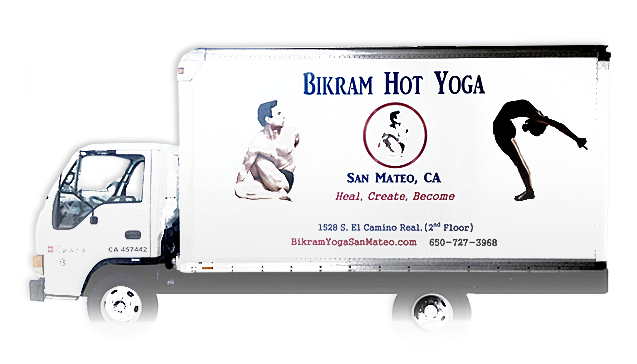 Most of the benefits received from practicing Bikram Yoga cannot be seen by the naked eye. The benefits are happening at a cellular level: atomically, biochemically as well as mentally and emotionally. One of the main catalysts as to why Bikram yoga exists today is because Bikram was almost crippled. Bikram was training for a heavy weight lifting championship and the weighted bar fell on his knee. He was told he would never walk again and possibly lose his leg. He was extremely upset by the diagnosis; he called his Guru, Bishnu Ghosh. His Guru told him he would be healed by practicing yoga postures, and to come see him immediately. With practice of the postures prescribed by Bishnu Ghosh, along with time and patience, Bikram was completely healed. Bikram was inspired from the benefits and healing he experienced through the practice of yoga, that he wanted to create a “yoga sequence” that could be done by anyone, and applied the practice to be specifically done in a heated room to allow for better circulation, aid in de-toxing the body, and increasing pliability of the muscles. There is a reason why yoga has lasted for many centuries, and will continue to do so in the future because it has healing, restorative, and rejuvenating benefits for the body. Practicing the postures add energy to the body instead of taking away energy. For example: if water is heated on a stove and allowed to boil, the water transposes into steam. The steam created and the water in the pot are the same composition: hydrogen and oxygen. The difference between the steam and the water in the pot, is the energy level in which each is functioning: the steam is functioning at a much higher energy level than the water in the pot. By practicing Bikram yoga, the body, mind, emotions, and spirit are catapulted to a higher energy level; therefore, reacting and creating physically, emotionally, mentally and spiritually at a much higher frequency than before the class. Transformation, healing and manifestation is one of most valued benefits by those practicing Bikram yoga. If you have practiced Bikram yoga one time or many years, you will know it is one of the most unique experiences in life and it is very personal. You generally will feel a sense of wellness and that it takes place beyond the physical. Hopefully you will value yourself, your life, and family to allow yourself the benefits that the yoga can help you with. As the body becomes strong: so as the mind, so as the emotions. As the body becomes flexible: so as the mind, so as the emotions. As the body becomes balanced: so as the mind, so as the emotions.